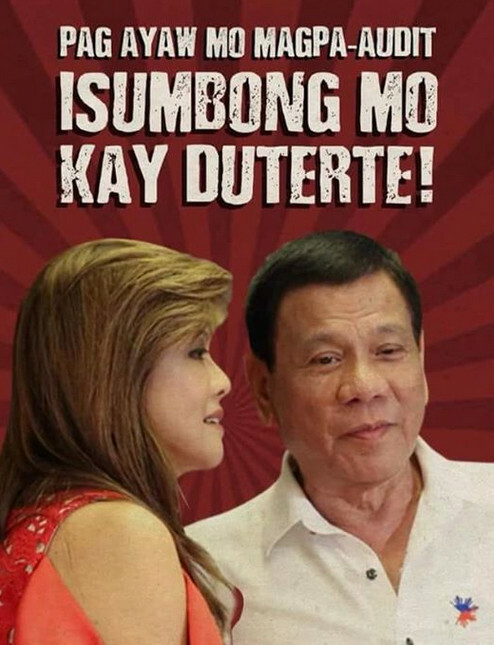 MANILA- Ilocos Norte Governor Imee Marcos on Friday welcomed the House of Representatives' approval of a bill abolishing the Presidential Commission on Good Government (PCGG), the agency tasked with recovering billions of dollars plundered by her father, the late dictator Ferdinand Marcos. 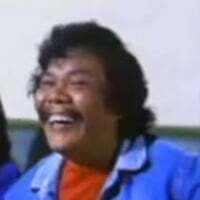 Dagdag ko pa. Komo may bank secrecy laws, at kahit/kung may commission ang brokers/agents, ewan na lang. Baka lang po. 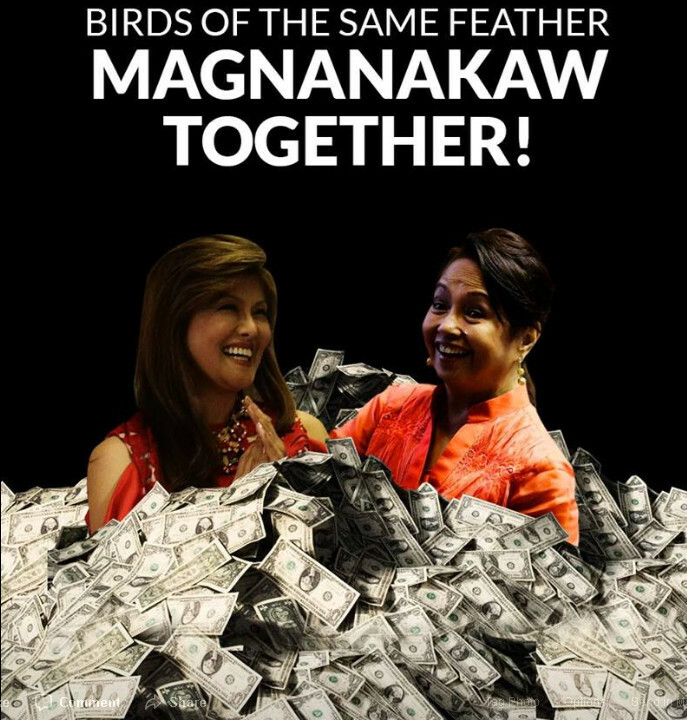 At baka yan na ang pinagisipan ni matalinong Apo, kaya sya ang nagsulong (in effect) ng institutionalized bank secrecy laws. 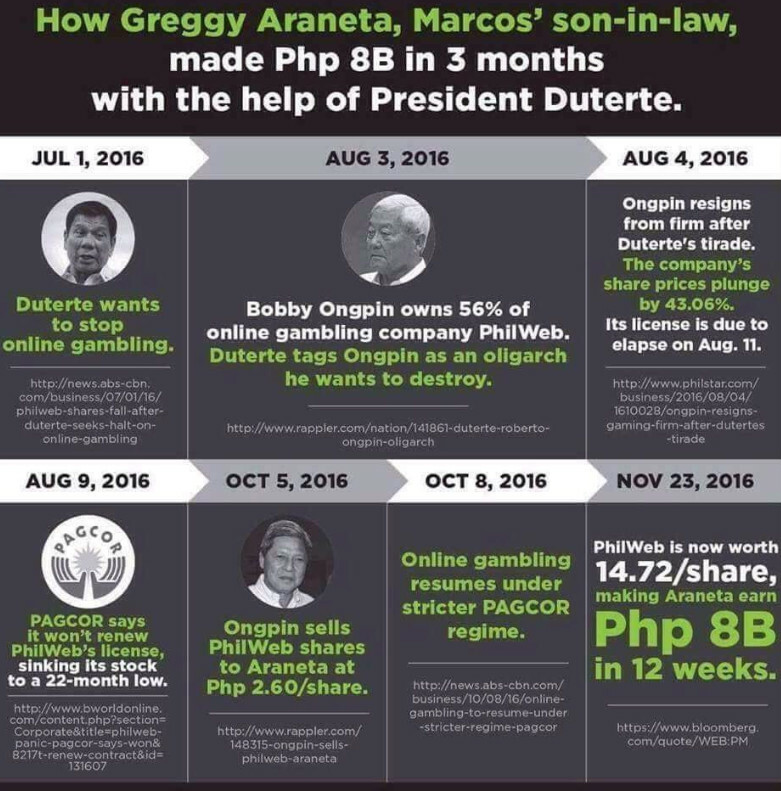 Family nya ang magiging biggest beneficiary...... Kung tutoo ang mga balita sa mga tagong yaman. does this mean ...... " wala nang solian???" 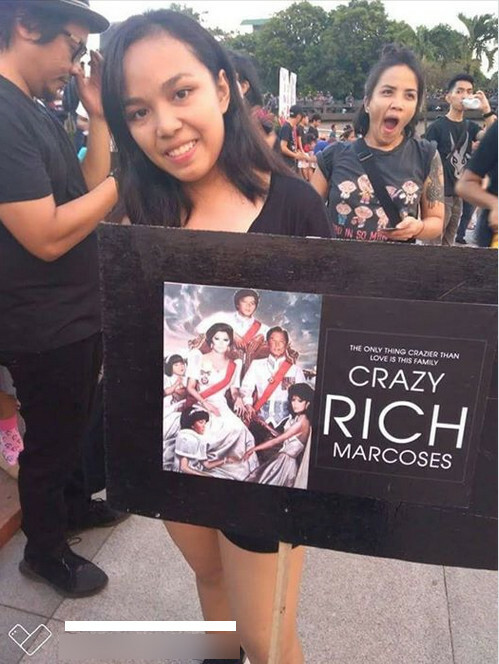 after declaring they are willing to return their stolen wealth, the Marcoses wants the PCGG abolished. NOW, to whom will they give back their stolen wealth??? 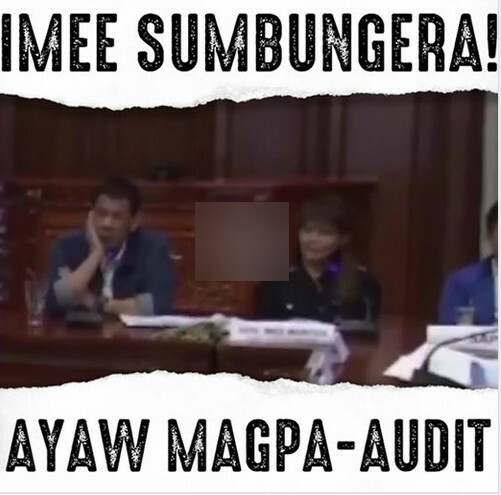 MANILA - The Commission on Audit has flagged bid documents which appeared to be fabricated as well as doubtful purchases and deliveries of supplies made by the provincial government of Ilocos Norte, currently headed by Gov. 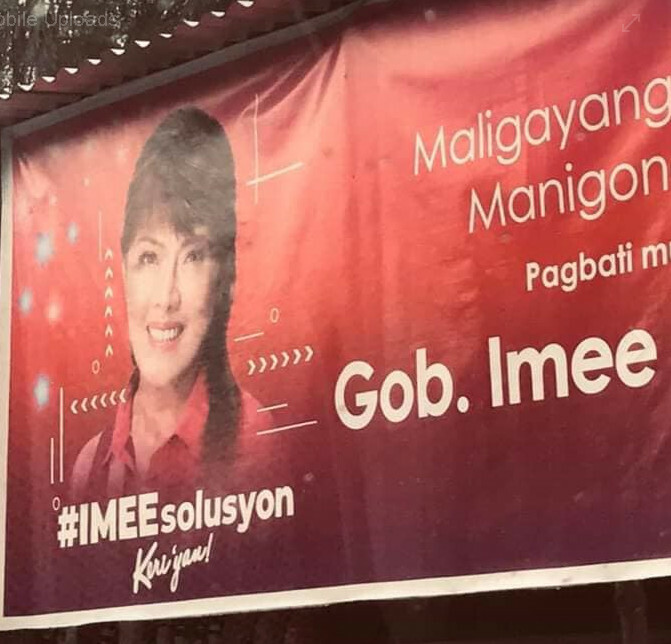 Imee Marcos. In the 2017 audit report on the provincial government, the COA noted 28 items which included fabricated bid documents for supplies which were discovered from 2017 and 2016 disbursement vouchers with a total amount of P21.76 million. 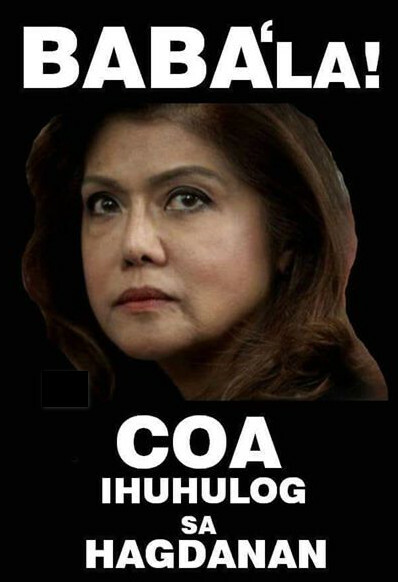 “The Invitation to Bid reference numbers stated in the PhilGEPS (Philippine Government Electronic Procurement System) printouts belong to other government agencies, a clear manifestation of the fabrication of documents to support the disbursements/payments of the suppliers/contractors, thus affecting the legality, validity, and propriety of the disbursements/payments,” the COA said. The supposed fabrications were also tackled by the inquiry at the House of Representatives last year which primarily delved on the alleged irregular purchase of vehicles by the provincial government from tobacco excise tax. The 2017 transactions which the COA said were “supported by fabricated copies of ITB” are supplies from CN Medical Distributor, Dashma Computer System and Services, Shawin Konstra Construction and Constuction Supply, BP Merren Pharmaceuticals and St. Ruiz Agro Farm Supply for Bulacan State University, Department of Public Works and Highways offices in Cebu, Cordillera and Agusan Del Sur and the Bureau of Treasury, respectively. For 2016, the COA said the transactions “supported by fabricated copies of ITB” are for supplies from CN Medical Distributor for government agencies such as Bataan Peninsula State University, DPWH Bukidnon, Barangay Bautista in Camarines Norte, Department of Environment and Natural Resources in the National Capital Region, Adela Serra TY Memorial Medical Center, Atok Municipal Government, Barangay Pasobolong in Zamboanga City, DPWH Davao Oriental, Marinduque Provincial Government, and DPWH Batangas. The COA however said the provincial government told state auditors that it is now investigating the alleged fabrication of documents. “Management commented that an investigation is in process on the alleged misrepresentation of documents and legal proceedings will be undertaken against concerned erring officials/employees,” the COA said. The COA also noted that there were doubtful purchases in 2017 amounting to P84.704 million and in 2016 costing P69.420 million which were not supported with corresponding distribution lists casting doubt as to the completeness of deliveries made. The disbursement vouchers without distribution lists represented payments made for farm implements, insecticides, pesticides, fertilizers, school supplies, grocery items, medicines, medicinal supplies. “Understandably, the absence of the distribution lists is an indication that the goods may not have been completely delivered and distributed to the beneficiaries,” the COA said. The provincial government however told state auditors that the provincial accountant is now in the process of compliance with distribution lists for 2016 already submitted in the amount of P43.673 million. The COA also noted the procurement of various supplies and equipment with brand specifications such as Wilson and Floormate floor polishers, Makita angle grinder, four units of Carrier air-conditioner, an iPad tablet and accessories, amounting to P470,866. The provincial government justified their choice of brand names because of their reliability but also requested the COA for reconsideration, promising to avoid committing again an “innocent mistake”. It was also noted that the inventories of supplies such as medicines, textbooks, agricultural and marine supplies totaling P125.058 million is “doubtful” because of the absence of periodic assessment of inventory. There was also overstocking of drugs and medicines totaling P7.506 million as items were purchased in big quantity, despite significant number of the beginning balances of some items. Agricultural and marine supplies for distribution amounting to P57.372 million may also have deteriorated or damaged due to long storage period. The provincial government however assured the COA that an inventory committee will be established to address the problem. The procurement of diesel and premium gasoline from Total Philippines Corporation was also flagged by state auditors as it violated the Government Procurement Law, but the provincial government justified that the purchase was 1 to 5 pesos less than the prevailing market price for fuel. Matagal nang nalulugi ang PCGG. 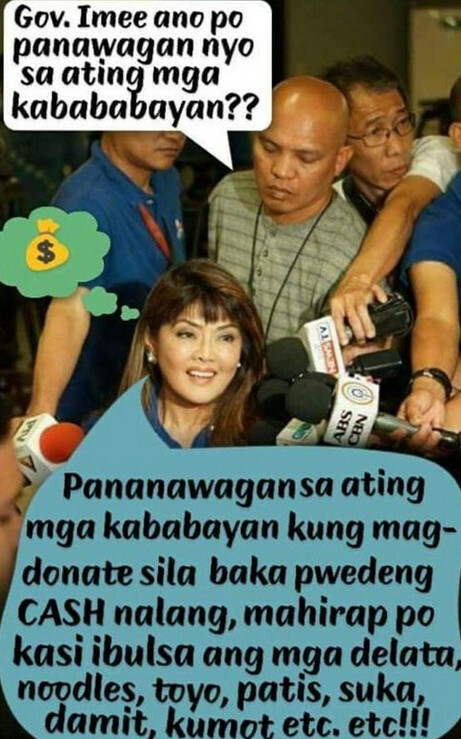 I mean mas malaki ang expenses nila kaysa sa nahahabol nila. Other government agencies can do the same job. 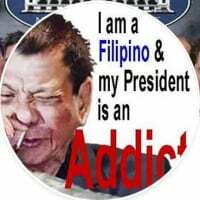 Plus Marcos lang naman ang target nila they avoided Ramos, Enrile, and other cronies eh marami rin nakulimbat yun. 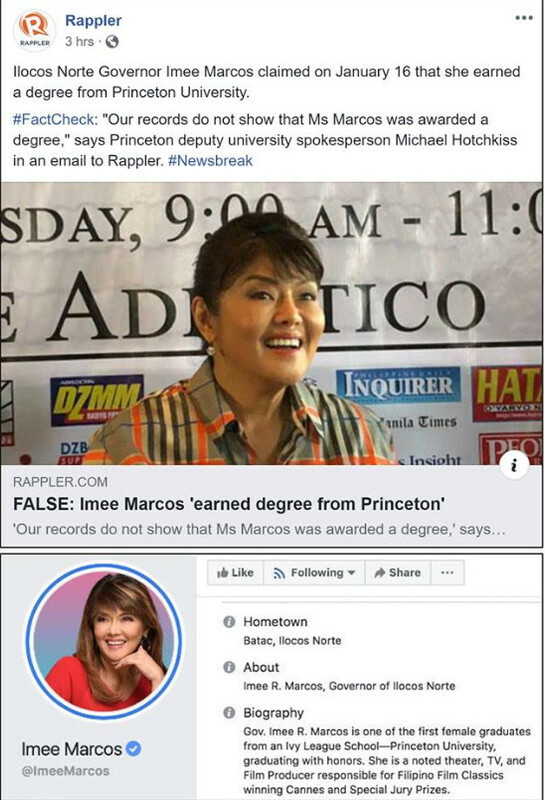 CLAIM: Ilocos Norte Governor Imee Marcos claimed on January 16 that she earned a degree from Princeton University. Rappler asked her during a forum in Manila to clarify the matter after the senatorial aspirant first dodged the question in December 2018, when she was asked in a DZMM interview whether she finished her undergraduate degree at Princeton University. 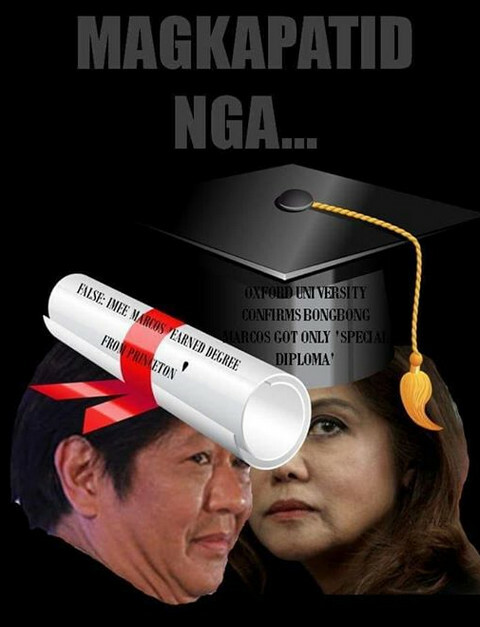 "Oo naman, oo naman (Yes, of course)," said Marcos on January 16, adding that her degree was "religion and politics." 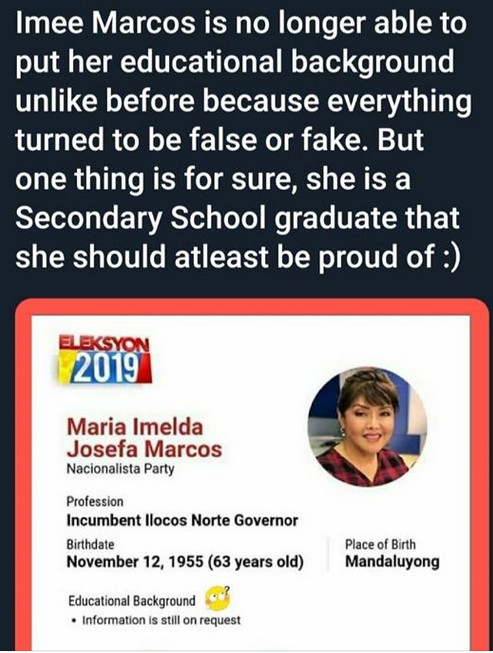 Marcos' biography on Facebook also described her as "one of the first female graduates from an Ivy League School – Princeton University, graduating with honors." 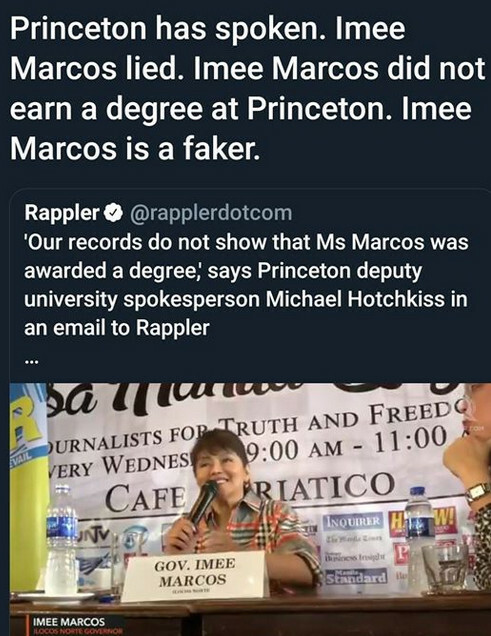 The facts: Princeton deputy university spokesperson Michael Hotchkiss told Rappler via email that Marcos did not finish her degree. 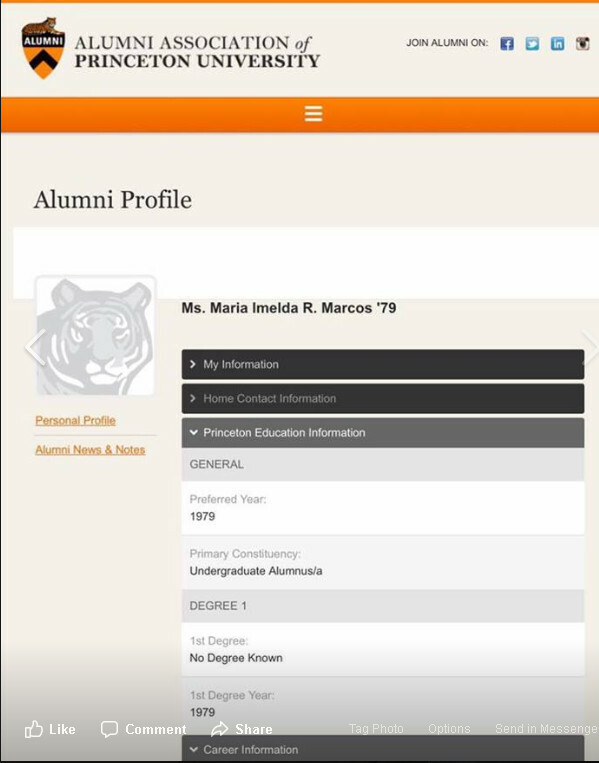 "Our records do not show that Ms Marcos was awarded a degree," said Hotchkiss. 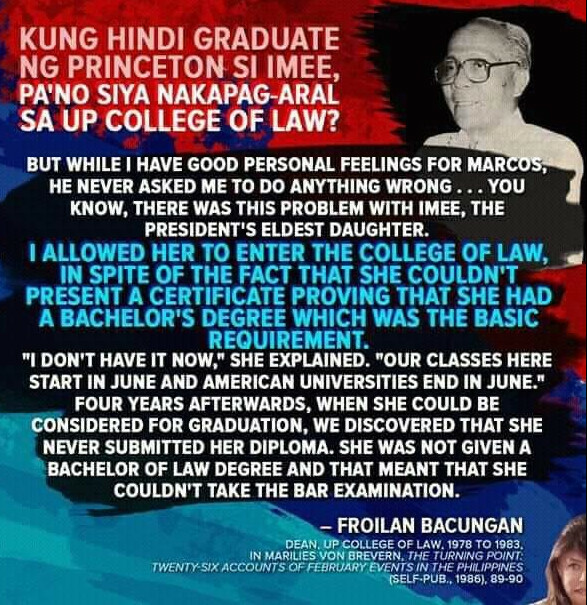 He did confirm, however, that Marcos attended Princeton, first during the Fall 1973 to Spring 1976 terms, then during the Fall 1977 to Spring 1979 terms. Her major field was "Independent Concentration in Religion and Politics." Hotchkiss explained that "concentration" is Princeton's term for what is called a "major" or a student's primary area of study in other universities. But he said Marcos did not finish her concentration. 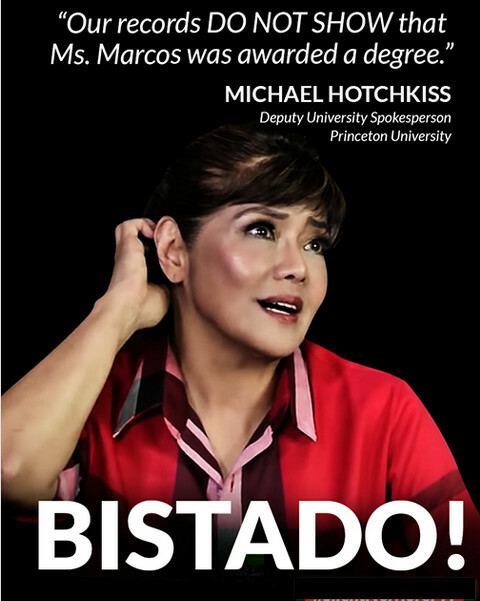 Hotchkiss was not able to provide other academic files of Marcos – like copies of her grades – as these are not allowed to be shared to the public because of a United States federal law, the Family Educational Rights and Privacy Act of 1974. But a column published on August 31, 1983, in Princeton's Town Topics newspaper said that Marcos "flunked out" of the university. This column, titled "Dear Brooke: Here's The Lowdown On Coping With Your New Role As A Princeton Freshman," was addressed to model and actress Brooke Shields, who attended Princeton in 1983. The piece talked about what a Princeton freshman can expect during his or her first few days at the university. 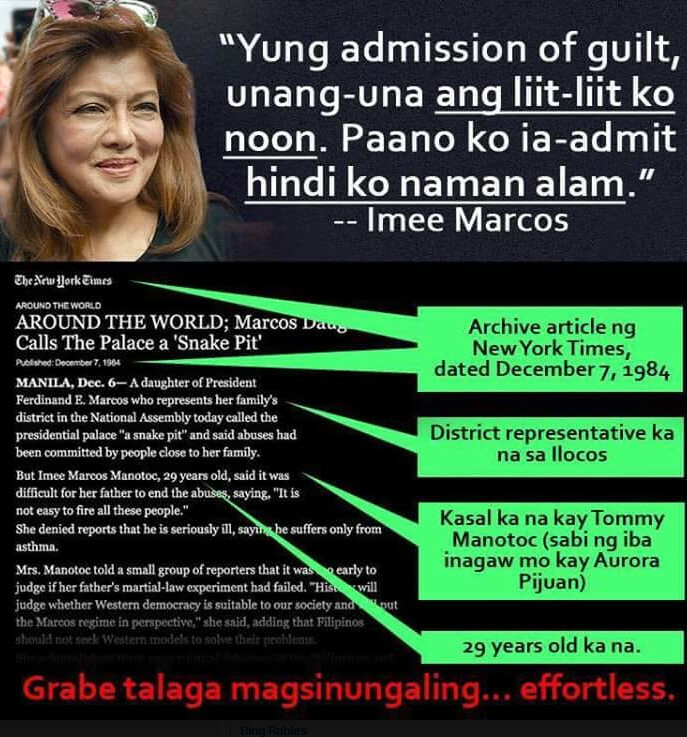 The column ended with a reference to Marcos, which goes: "You might draw a lesson from the experience of Imee Marcos. She never did graduate; she flunked out. At Princeton, that is one thing that is still being taken very seriously." Over 750,000 members talking about all topics relevant to Pinoys around the world.